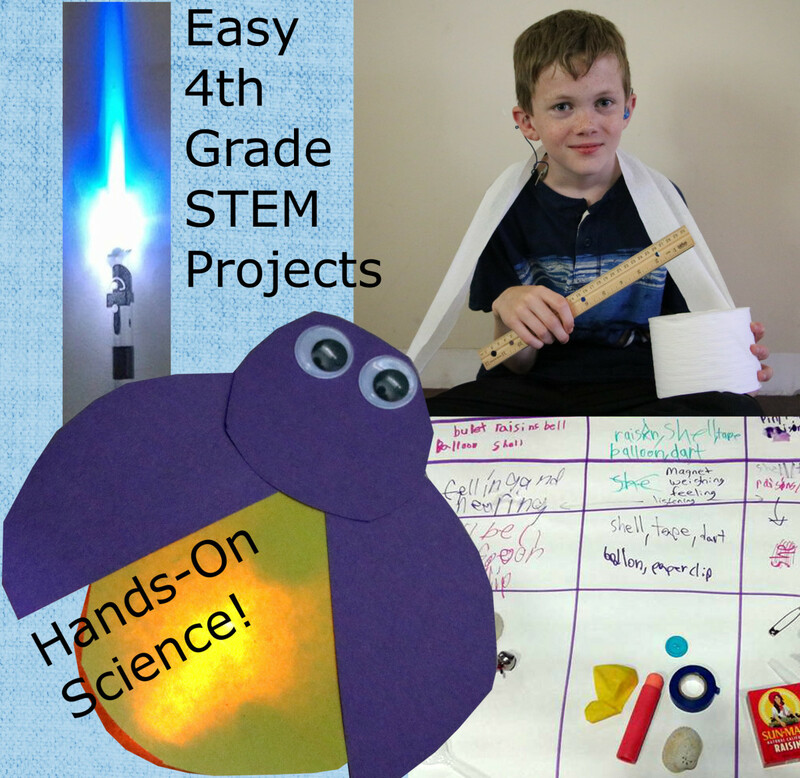 A carbon-dioxide powered lava lamp is a low-cost, safe activity for third graders. 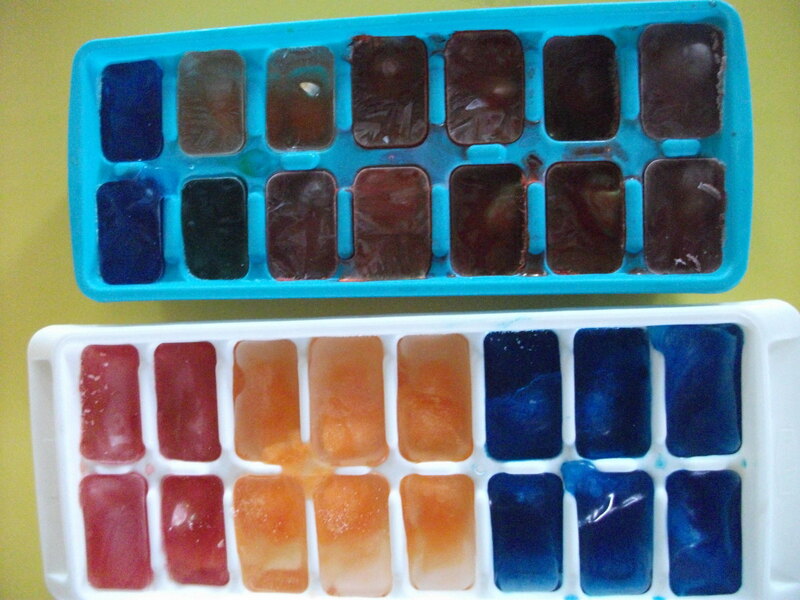 Oil and water are added to a container, along with food coloring. The food coloring will not dissolve in the oil layer, but it will dissolve in the water layer. When an Alka-Seltzer tablet is added, the carbon dioxide bubbles created by the tablet will carry droplets of colored water into the oil layer. When the bubbles reach the surface, the colorful water droplet is released and will sink back to the bottom of the bottle. Remove labels from the water bottle. Empty ½ of the water bottle. Pour vegetable oil into the bottle. Add a few drops of food coloring and allow the food coloring to fall into the water layer and disperse. When ready to activate the lava lamp, add an Alka-Seltzer tablet. Watch the “lava lamp” action! Density, solubility, and chemical reactions are discovered with this activity. 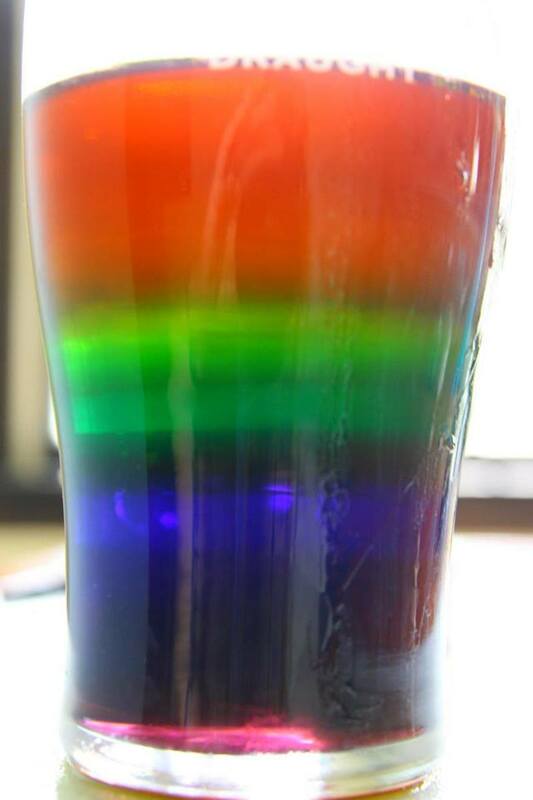 A visually interesting approach to studying density, this activity uses difference concentrations of a sugar solution to create a rainbow of colors in a single glass. Measure 1 tablespoon of water into the first glass. Measure 2 tablespoons of sugar into the second glass. Measure 3 tablespoons of sugar into the third glass, 4 tablespoons into the fourth glass, and 5 tablespoons into the fifth glass. Pre-heat water until it is very warm using the microwave. Heating the water will help the sugar to dissolve. Pour 3 tablespoons of warm water into each of the glasses. Stir until the sugar is dissolved. Pour half of the contents from the fifth glass into the empty glass. Using the back of a spoon to disrupt the flow of the liquid, very carefully pour half of the contents from the fourth glass on top of the layer from step 4. Using the back of a spoon to disrupt the flow of the liquid, very carefully pour half of the contents from the third glass on top of the layer from step 5. Using the back of a spoon to disrupt the flow of the liquid, very carefully pour half of the contents from the second glass on top of the layer from step 6. Using the back of a spoon to disrupt the flow of the liquid, very carefully pour half of the contents from the first glass on top of the layer from step 7. Observe the separation of the density layers and the beautiful “rainbow” created in the glass! Understanding how tendons work to control finger movements and the use of robotics to create prosthetic limbs helps to inspire students to consider the real-world benefits of using science to benefit humanity. While this project does not create a true robot (there are no motorized parts), the use of strings and straws creates a very clever “robotic” hand that is actually able to grasp light materials. Use crumpled paper towels and have the class perform a relay race using their robotic hands to pick up the paper and place it in a basket. Cut small divots ½” from the end of each drinking straw. Do not cut all the way through the straw. 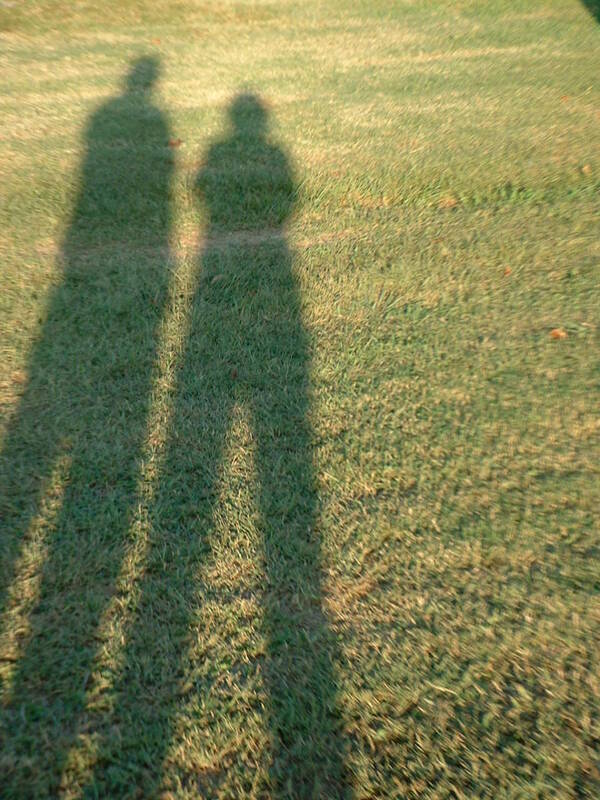 This step may be performed by an adult prior to the activity. Cut small divots 1” below the first set of divots. These cuts will create the “knuckles” for the robotic hand. This step may be performed by an adult prior to the activity. 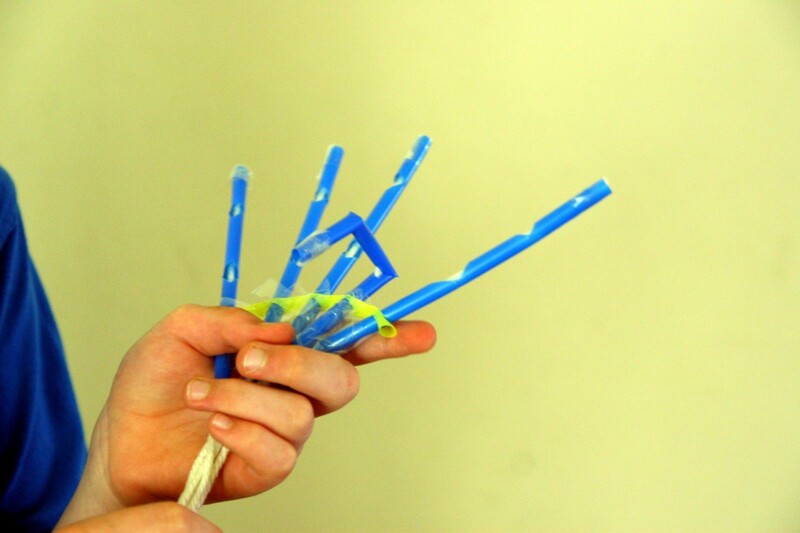 Tape the bottom of the drinking straws to cardboard or cardstock to form and brace the straw fingers. Thread yarn or string through each “finger,” taping the string to the top of the straw. Pull on the strings to move the fingers of the robotic hand! 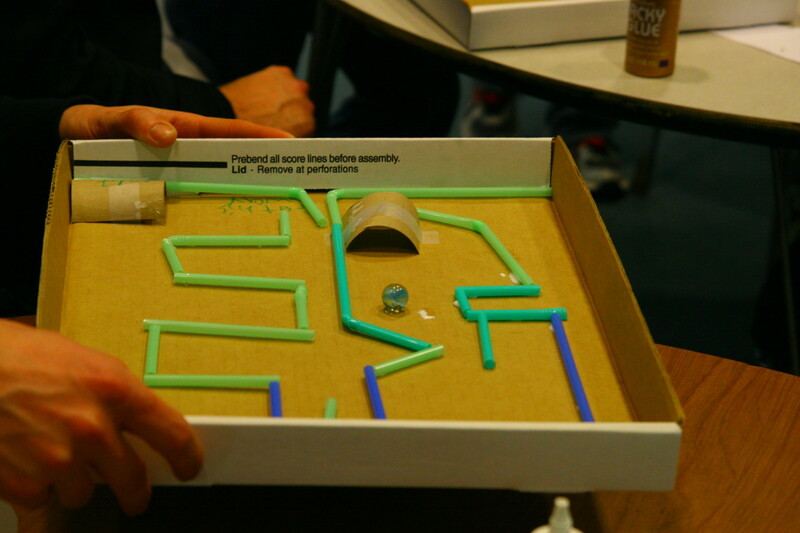 Creating a maze for marbles will help children develop spatial relationships, planning skills, and problem solving skills as they work through design challenges. Glue dots work better than tape, as glue dots allow the straws to lie flat on the cardboard without interference from tape edges. If using tape, make sure tape is completely fastened to the box lid so it doesn’t stop the marble in its tracks! Supply each child with scissors, the box lid, drinking straws, and tape (or glue dots). Instruct the children to create a maze using the straws. 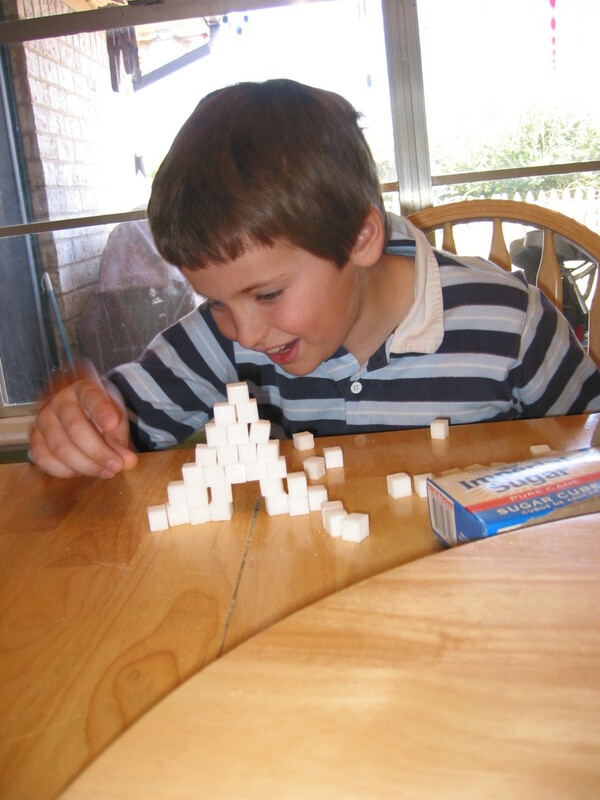 Encourage the children to use their creativity to add tunnels, ramps, and other features. Have the children swap marble mazes and try to solve their neighbor’s mazes! Understanding Bernoulli’s Principle of lift can be achieved through the creation of paper airplanes and paper helicopters. Before starting this lesson, give every child a long strip of paper. Ask the children if they think the paper will go up or down when you blow across the top of the paper, and have them write down their guess. Have the children blow across the top of the paper while holding one end just below their bottom lip. Compare their observation to their original guess – most children think the paper will be “blown down” and are quite surprised when the paper strip rises up into the air! Using this exercise, discuss lift and how airplane wings and helicopter rotors use this principle to obtain flight. The air moves faster over the wing than under the wing, and this generates lift. Form a stem on the helicopter by cutting ½” horizontally into each side, about 1 ½ inches from the top. Fold in the sides to form a long stem. The wide side of the remaining shape will form the wings. Cut vertically down to the top of the stem. Fold one side down to form the first rotor. Fold the second side in the opposite direction to form the second rotor. Fold the bottom of the stem up slightly and attach a paper clip. Drop your helicopter from a platform and watch it spin! Experiment with different rotor sizes to see the effect on the helicopter’s spin. 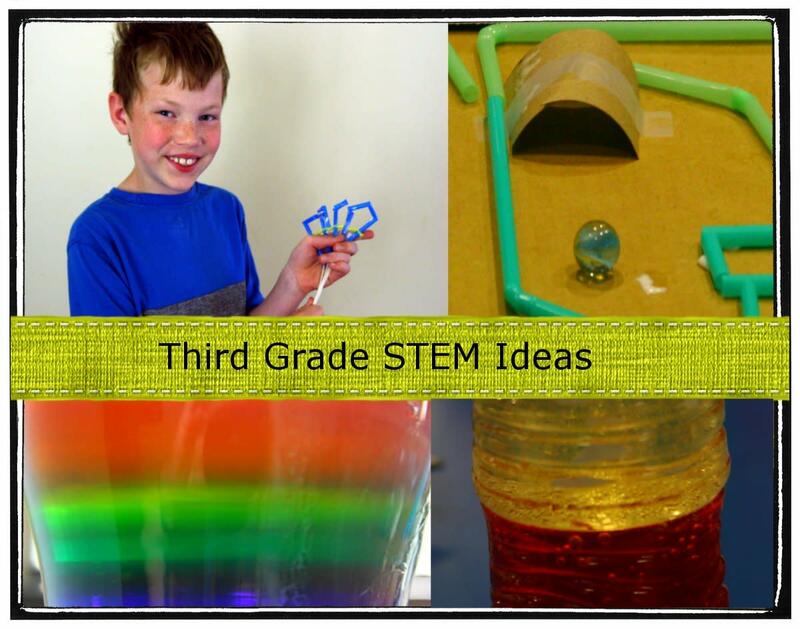 Which third grade STEM activity is your favorite? Is the marble maze science, technology, or math? The marble maze activity is a lesson in spatial awareness and planning (math skills), in addition to observing the laws of motion in action (physics). Straws must be measured to determine the correct length and width for constructing the run, an additional math skill. Aside from combining physics and math skills, the marble maze teaches children how to solve problems creatively and engage critical thinking skills. Is the study and construction of a robotic hand considered a mathematical, scientific, or technological activity? I would classify the robotic hand as an engineering/technological activity, though all three categories could apply depending on how a lesson plan is structured. 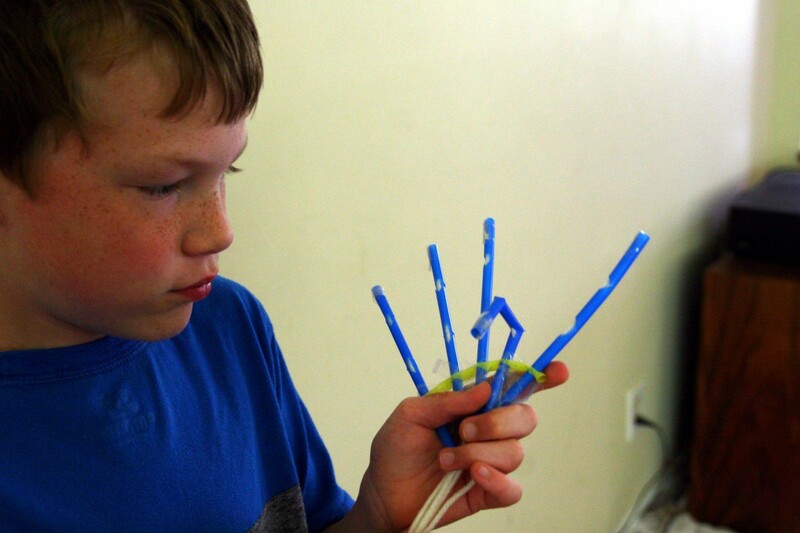 If you have students measure straws to specific lengths, math could easily be incorporated into a lesson plan. 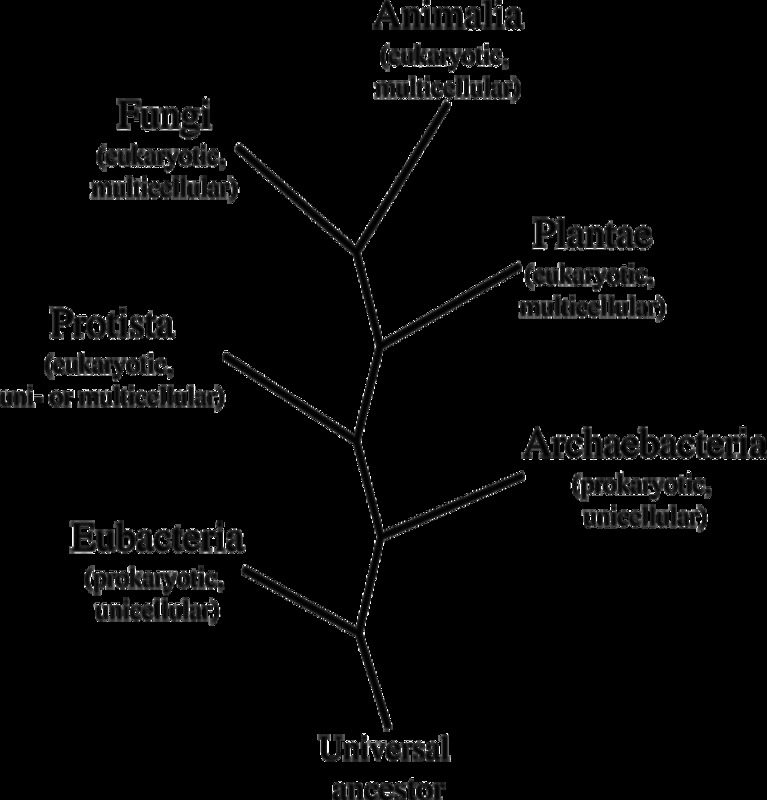 The biology of hand mechanics (tendons attached to bones) could also be taught, using the strings attached to the straws to demonstrate how tendons interact with muscle and bone. Of course, a great lesson in biomedical engineering and the use of prosthetic limbs could also be employed. What do rainbow density layers do? 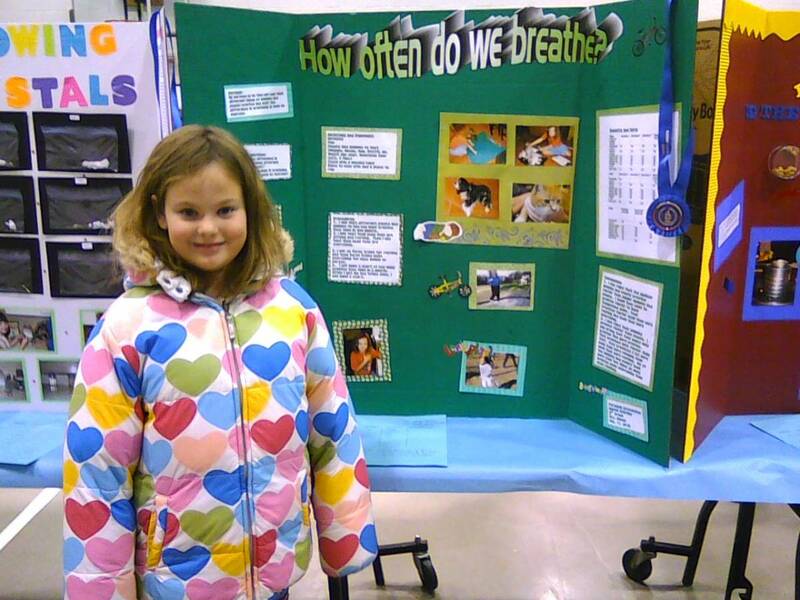 We really enjoy doing STEM projects, Frist! I also run a Maker Camp in the summer where we explore a lot of different science and engineering ideas for kids!